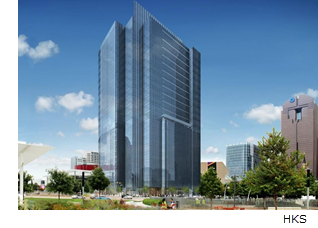 ​​​​​ ​DALLAS – Boston-based Steward Health Care System LLC has decided to relocate its corporate headquarters into three floors of 1900 Pearl St.—a newly completed 25-story office building. Steward Health Care System plans to move its corporate executive team of roughly 100 from the northeast United States to Dallas in the Arts District by summer 2018. This would make downtown Dallas ground zero for the company's growing operations, which, is expected to turn around nearly $8 billion in revenue in 2018. Want free data with no filling out a form?​ Then find and print what you want at DFW Office Market Research.